If you are considering installing a security system in your home, include CCTV cameras in your options. Contrary to popular belief, surveillance cameras nowadays are much more affordable compared to a few years ago. You don’t need a lot of budget to have some installed in your house. What your concern should be is how to find a good provider that would be able to supply you with the right security solutions. It is relatively easy to roam around the city center if you want to find a firm based nearby. However, it would always be convenient to search online for CCTV installers near Parramatta. This way, you don’t have to waste too much time walking along sidewalks and circling blocks just to find several potential firms. While searching online, Complete Alarms would most likely appear in your search results. It is very natural since the company has been providing safety services for Sydney residents for a while. When you inquire for CCTV cameras, you would be provided with a list of different camera types and set-up connections. For cameras, classifications are based on the resolution, motion capabilities, and sometimes design. For the set-up, it can be either wireless or wired. At Complete Alarms, you don’t have to worry about choosing which is which. They will present you with packages to choose from. This way, you get a less hassle security shopping experience. If you opt to consider multiple providers, always keep in mind to check and compare the prices among different packages. Put into consideration the brands of the logistics used since they might be of average to low quality. When you ask for available options, do not hesitate to inquire about how the different CCTV set-ups work and how they differ from each other. It is important that you know what you are going to pay for to avoid future regrets. Furthermore, you need the basic knowledge to be able to compare other packages. 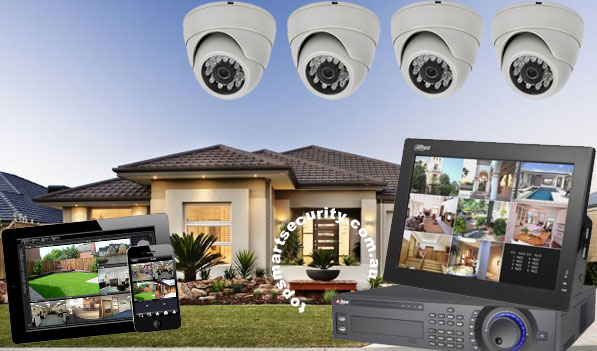 Getting a CCTV set-up is a one-time investment that provides lifetime benefits. If you take measures to maintain the quality of the hardware, you might save up on repair and replacement costs for years. High quality products and a simple yet effective set-up are two things that Complete Alarms can offer you for CCTV cameras. If you want to secure your home, do it with the best option you have.